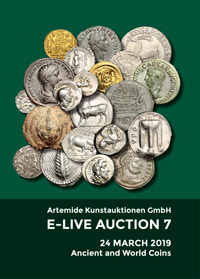 Coins 5 Celtic World. The Scordisci. 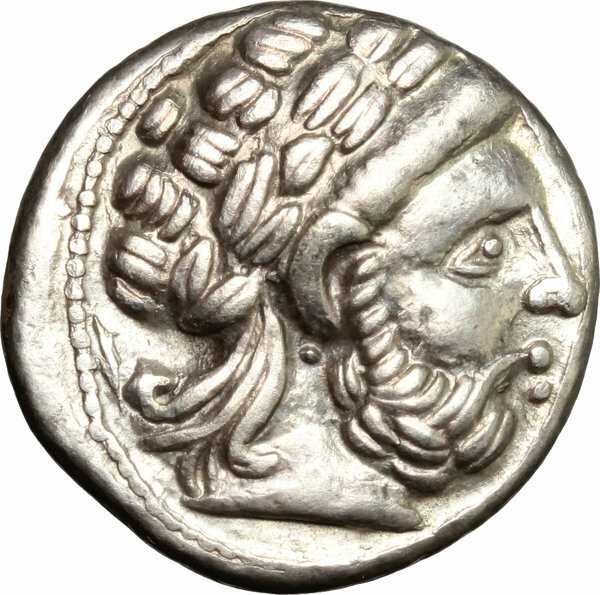 AR Tetradrachm imitating Philip II of Macedon, 'Roman numeral' type. 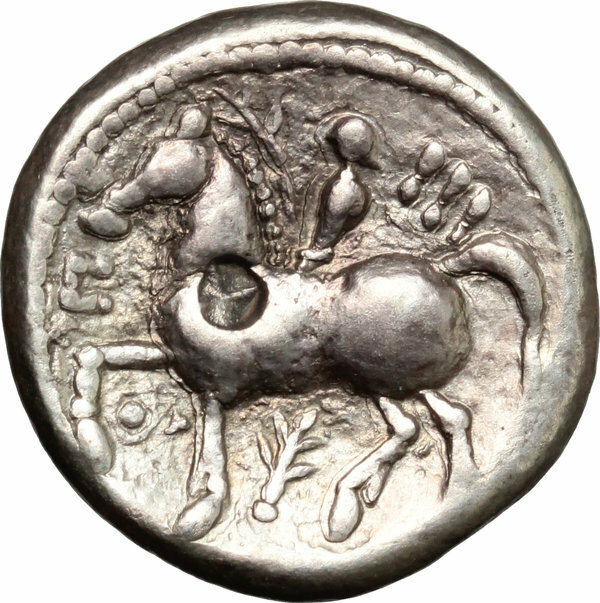 Syrmia, first half of 3rd cent. BC. D/ Head of Zeus right. R/ Π ΙΙΙ. Youth on horseback left, holding palm branch. Popović, tav. 2/1-2. AR. g. 12.73 mm. 24.00 EF.